The Huacachina lagoon is a natural oasis five kilometers from the city of Ica whose waters are attributed a healing power that has been known since the mid-nineteenth century. 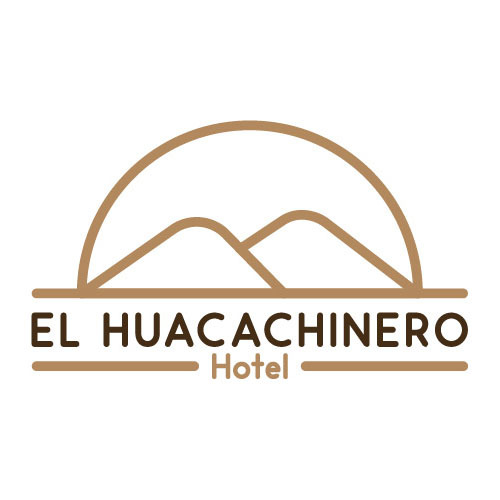 Huacachina is a name that is related huacca in Quechua it means to cry) and the Chinese expression (woman), that is to say, woman who cries. The legend that inhabited by that zone inhabited a beautiful maiden, with brown pupils, black hair as black jet; a maiden of curves and sensual contours, like the vessels of the Sun in the Coricancha of the Incas, called Huaccachina. Near the heights lived a handsome young man with a hard and fierce gaze in combat, but with a sweet and soft look in the peace of the home , Ajall Kriña. He fell madly in love with the soft, polished forms of Huaccachina, that of eternal tears, so called because, since their eyes opened to life, they only wept; this was soon to correspond to the deep, fervent and intense affection of the happy man. Every morning and every afternoon, Huaccachina, whose tears seemed to have dried up forever, gave Ajall Kriña, his heart's preferences, the jewels of his tenderness, the fires of his soul pure and simple. But the happiness that always eternal dream, flew suddenly like the stealthy wind that trickles through the leaves of the trees. By Order of Cuzco, it was arranged that all the young men would prepare to leave immediately, to fight an uprising of distant warlike people. Ajall Kriña, with a broken soul, took leave of his ñusta sorceress. She swore love, fidelity, affection, and he, happy because she knew she would wait for him, marched with others of her people to unveil the rebellion, to quell the sacrilegious movement against the Inca-God. After some time the beautiful maiden received the fateful news, Ajall Kriña, with terrible wounds, dies in combat after having fought like a lion. The beautiful princess of sorcerers eyes, desperate for so much pain flees under the shadows, among the hills and the knives of sand, until to fall prostrate, depressed, panting, sweaty, with the tears overflowing from the inexhaustible source of her eyes. These when falling in the sands gave origin to the beautiful lagoon walled by the sands. It is said that on moonlit nights, when the shadows and silence dominate the oasis, the princess leaves, covered with the mantle of her hair that flutters in her body; to continue crying the absence of the beloved, while the old carobs spread their branches to ask for the heavens, pity and consolation, destined to the princess of the broken, the dreamless waste, the truncated paradise.